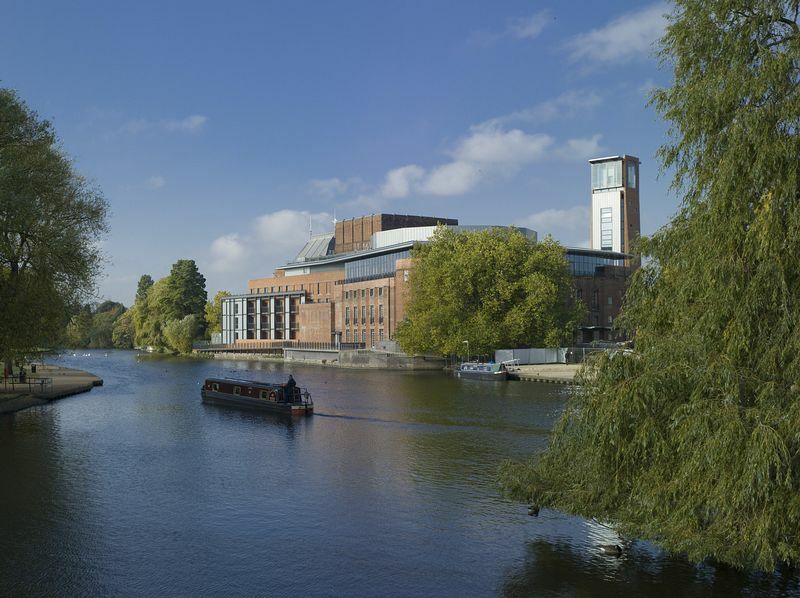 One of the world's best-known theatre ensembles, the Royal Shakespeare Company performs the works of Shakespeare, other renaissance dramatists and contemporary writers all year round in its home in Stratford-upon-Avon. The company also have regular seasons of work in London and Newcastle as well as doing UK and international touring. The Theatres in Stratford have just undergone a four year transformation with the aim to make the Royal Shakespeare Theatre the best performance space for Shakespeare in the world. The smaller Swan theatre has also been refurbished and for the first time both theatres are connected. 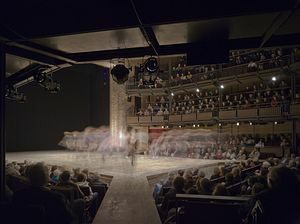 Operating under its present name since 1961, the RSC's roots stretch back to the building of the first permanent theatre in Stratford. a Stratford brewer, launched an international campaign to build a theatre in the town of Shakespeare's birth. He donated the two-acre site. The Shakespeare Memorial Theatre was a Victorian Gothic building originally seating 711 people. It opened in 1879 with a performance of Much Ado About Nothing. Initially the season was 8 days in the spring. This was extended by a month long season which was added in 1910. Almost 50 years of excellence were recognised in 1925 by the granting of a Royal Charter. However, only a year later the theatre was destroyed by fire. Today, the Swan Theatre occupies all that remains of the original Victorian Memorial Theatre. In 1932 the new Shakespeare Memorial Theatre, designed by Elizabeth Scott, was opened by the Prince of Wales. The date was 23rd April - Shakespeare's birthday. Over the next thirty years the Company continued to build its reputation, working with established Shakespearean actors, as well as nurturing new talent. Michael Redgrave, Ralph Richardson, John Gielgud, Peggy Ashcroft, Vivien Leigh and Laurence Olivier acted alongside new faces such as Richard Burton. 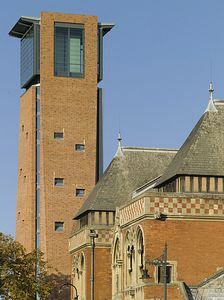 modern Royal Shakespeare Company and in 1961, the Memorial Theatre was renamed the Royal Shakespeare Theatre. Over the next thirty years the company continued to expand under a succession of visionary and creative Artistic Directors. The company set up a base in London and started a regular season in Newcastle Upon Tyne. It also started an annual UK Mobile Theatre tour. The Other Place and its London counterpart The Wharehouse opened in 1974 and 1977 respectively, to foster the work of contemporary writers. The 1986 season in Stratford saw the opening of another theatre. Built inside part of the shell of the Memorial Theatre that survived the 1926 fire, the Swan is a unique, modern theatre based on the design of the playhouses of Elizabethan England. Click the top right corner for the full-screen experience! For more information on opening and show times please visit the RSC's website or call the RSC Box Office on 0844 800 1110. The RSC offers a wide range of discounts available for 16-25 year olds, over 60s, schools and families. For more information on ticket pricing and discounts visit the RSC website or call the Box Office. 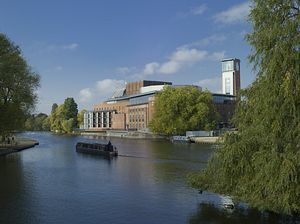 Stratford-upon-Avon, located in Warwickshire, is just a short drive from Junction 15 of the M40, giving good access to the M42, M5, M6 and M25. Stratford-upon-Avon train station has services north to Birmingham and south to London Marylebone (via Warwick, Leamington Spa, Banbury and Bicester North). Taxis are available at Warwick and Leamington Spa stations. For details of local bus services from Birmingham to Stratford-upon-Avon please ring 0870 6082608. For local bus services from Oxford please ring 0870 5808080. More information is available from the RSC Box Office on 0844 800 1114 (calls cost 5p per minute from a BT landline).